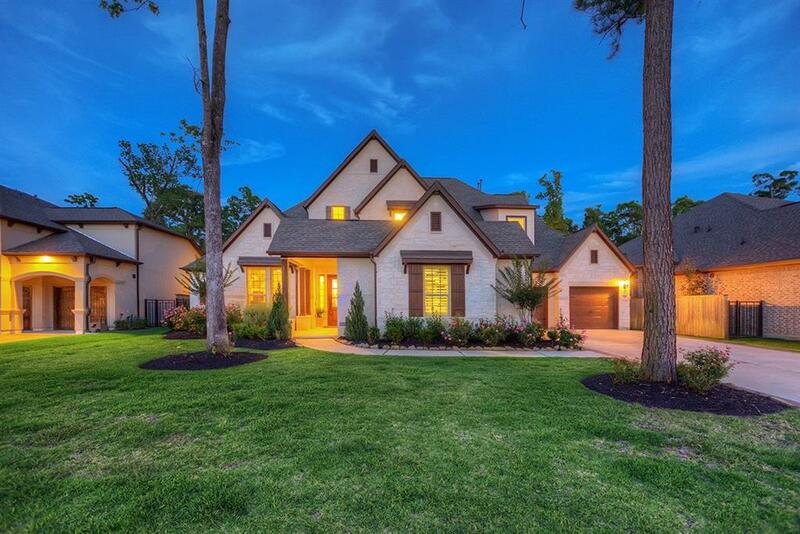 This stunning 5 bedrooms 5.5 bath home is located on the Golf Course in the premier master planned community of Woodforest in Montgomery Texas. 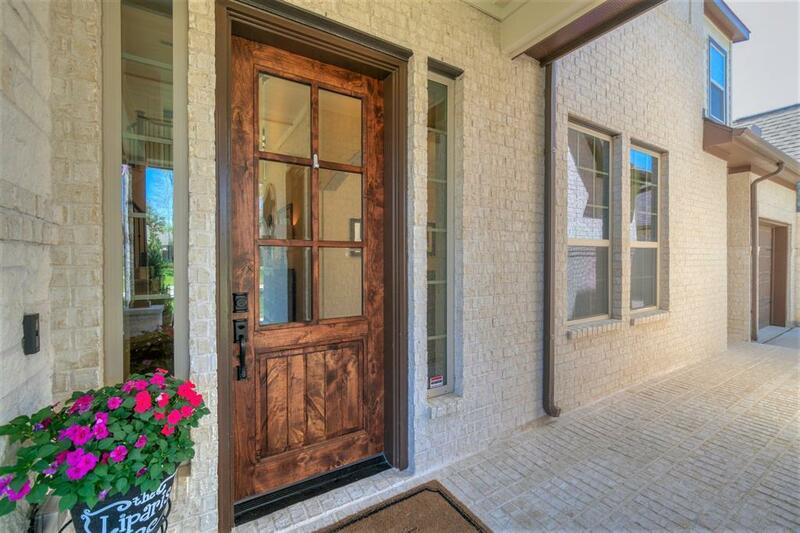 Absolutely stunning home is tucked away on a cul-de-sac street in the highly sought-after Spyglass neighborhood. Home is perfect for entertaining w/gourmet kitchen, oversized island, soaring ceiling, huge breakfast area, and wine grotto. 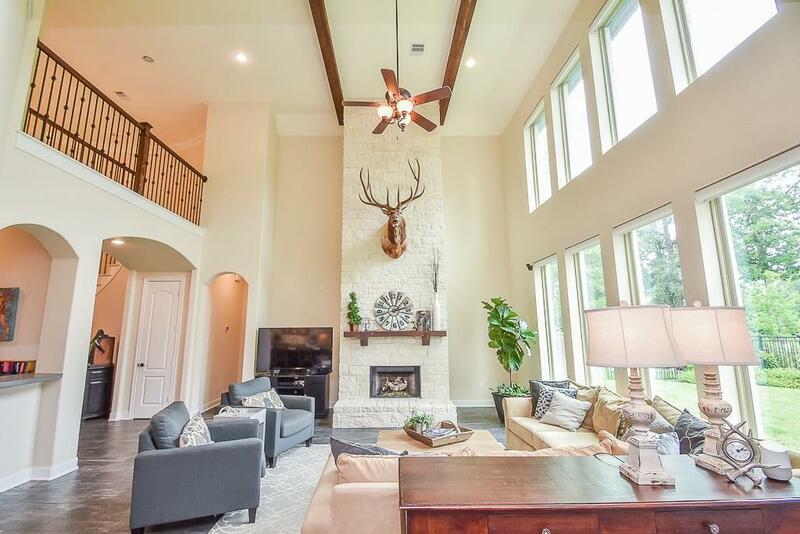 Many designer upgrades and additions include floor to ceiling stone fireplace, additional cabinets in kitchen, ceramic wood tile, body sprays in master shower, custom 4 wood shutters, remote control roller shades, custom designer drapes in breakfast area, outdoor fireplace, dog/pet room, home planning space, farmhouse sink in laundry, wet bar in game room, and custom wood beams. 2 bedrooms are conveniently located downstairs for your extra guest. Outdoor patio with cozy fireplace allows you to enjoy the beautiful view of the top rated pristinely manicured Woodforest golf course. 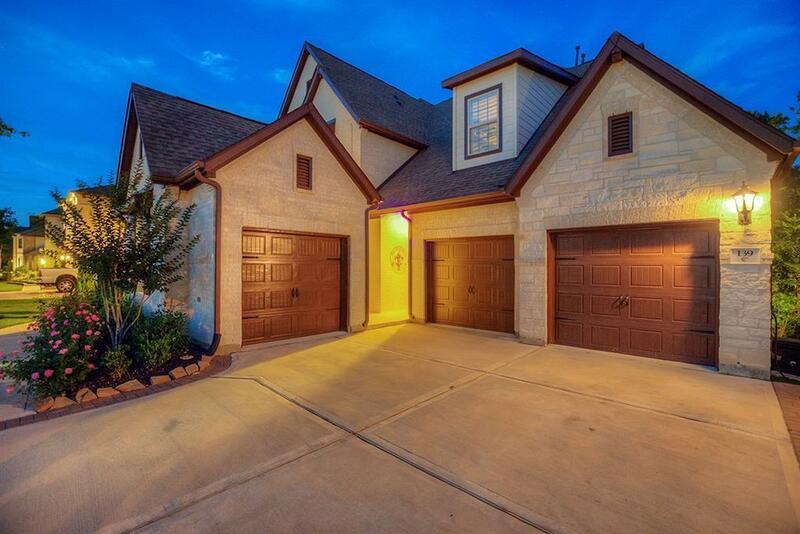 This home is zoned to MISD. Listing courtesy of Martha Turner Sotheby's.